Even these guys can benefit from Pilates. The benefits of Pilates are wide-ranging, extending even into professions as diverse as firefighting and other public service vocations. For jobs that are physical in nature, Pilates can help workers stay in shape for maximum effectiveness. When Eden Prairie, Minnesota, firefighters were offered a chance to take a weekly Pilates class, some were skeptical about whether it would help them in their duties. But after six weeks of classes, participants are seeing the benefits of this method of exercise. Pilates emphasizes strengthening and toning of the body’s core muscles and joints. As the core is strengthened, balance also improves. Participants may find that they move more gracefully, which means less chances of tripping, falling down, and injuring themselves. In a profession like firefighting, the ability to move gracefully can be an advantage, or even the difference between getting trapped in a burning building and getting out alive. As core muscles are strengthened, firefighters may be more able to carry out their duties without pulling a muscle or dislocating a joint. Sometimes it isn’t a case of whether a firefighter has the strength to carry someone out of a burning building or chop a ventilation hole in the ceiling, but of being able to do so without straining, which can cause injury and time away from work. One of the things that makes Pilates so valuable as an exercise method is the fact that it can be customized for all fitness levels from beginner to advanced. Although there are advanced apparatuses like the Reformer and Cadillac machines, many Pilates exercises can be done with just a mat. Exercises can also be tailored to specific fitness needs, like those of being a firefighter. One important aspect of Pilates is the necessity of having correct form in order to get the benefit from the exercises. It is important to have an experienced instructor when beginning to undertake Pilates to make sure exercises are being performed properly. Using correct form will also help prevent injuries that could occur. When created by Joseph Pilates in the early to mid-1900s, the idea was to use physical and mental exercises along with breathing techniques to develop the body’s optimal state of physical fitness, including core strength and balance. It was thought that physical and mental fitness would prepare people for the most successful lives possible. 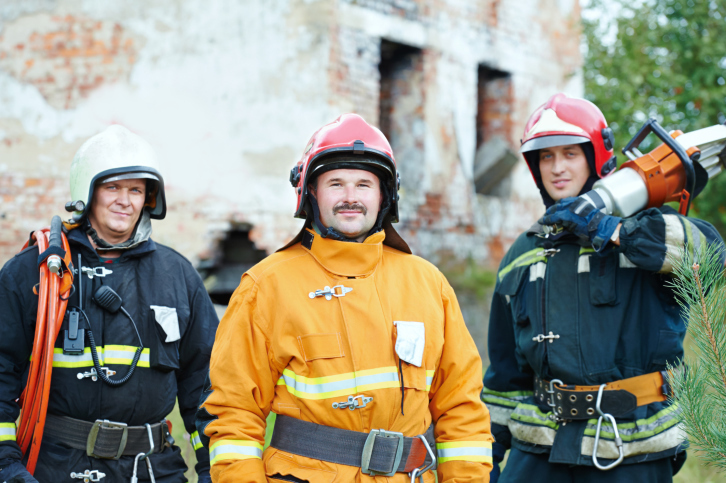 Overall fitness is important for firefighters and other service professionals. Practicing Pilates can prepare firefighters’ bodies for the stresses of fighting fires including heat and smoke conditions, lack of sleep, wearing heavy protective gear and carrying heavy items to and from a fire. The mind-body techniques of Pilates can also prepare firefighters’ minds to make them ready to handle the mental demands of their jobs. Mental readiness is important when a fire could take place at any time or place, and is always unexpected. Mental toughness under pressure is fundamental to the more difficult fire conditions that confront firefighters. For Pilates classes offered throughout the Los Angeles area, go to www.PilatesSportsCenter.com.